Sometimes my students don’t appreciate highbrow humor as much as they appreciate the jokes on Laffy Taffy wrappers. 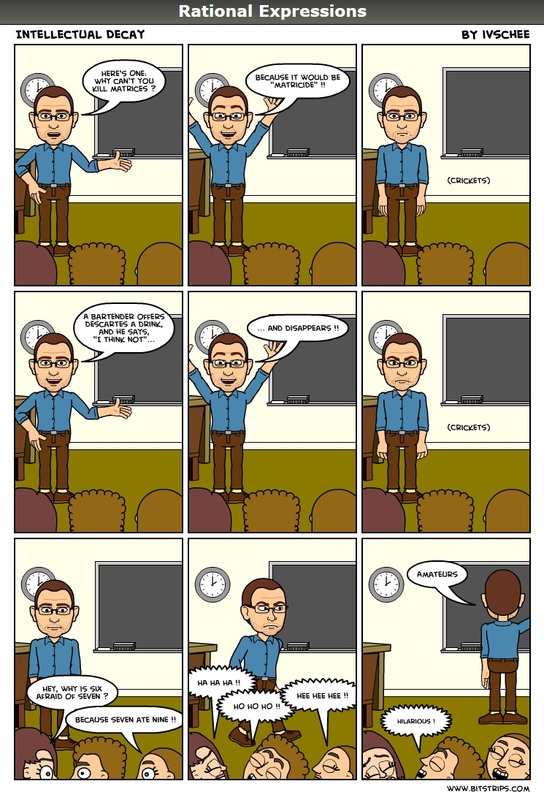 Posted on October 22, 2012, in Rational Expressions - A Comic Strip. Bookmark the permalink. Leave a comment.